Madison Reed prides itself on bringing higher quality hair coloring products to market that are both affordable and made from safe ingredients. Their strict adherence to EU regulations ensures that harmful ingredients stay out of their products and are safe for regular use. Although you won’t find a Madison Reed salon on just any corner, their online website is full of helpful information, clear color visuals, and useful guides so you can choose the products best suited for you with confidence. Madison Reed is a company that provides hair coloring and hair coloring accessories. Their company aims to provide hair coloring, hair touch up products, and hair color systems to women at a much lower price than hair coloring treatments done at a salon. Madison Reed hair color comes in a variety of colors and touches up kits are available for use between colorings. Their website also boasts the ingredients found in their products, citing them as ones that you can feel good about compared to traditional, chemical-laden hair coloring products. Madison Reed’s mission is to produce luxurious hair color that women can use at home without using harmful ingredients that can cause damage to the scalp and hair. The company operates online, and provides color matching, suggested care for your colored hair, and step by step guides to ensure the experience is positive. Amy Reed founded the company, which is named after her daughter Madison. Amy currently serves as the CEO and helps ensure that Madison Reed works within strict regulations put forth by the EU to ensure their hair coloring is both high quality and safe. Madison Reed has a limited number of retail locations where services start for as little as $35. All salons are called “un-salons,” and the two sites are in New York and California. The un-salons’ services are only performed by colorists that are both certified and licensed. The company goal is to save its customers both time and money without sacrificing the quality of the products or losing transparency of the company. Madison Reed believes that women deserve better than outdated home hair coloring, or expensive traditional salons. Interested parties can currently book appointments at the Madison Reed un-salon online at their website. Madison Reed Hair color products focus on more than just all over color and continuous dying to touch up roots. 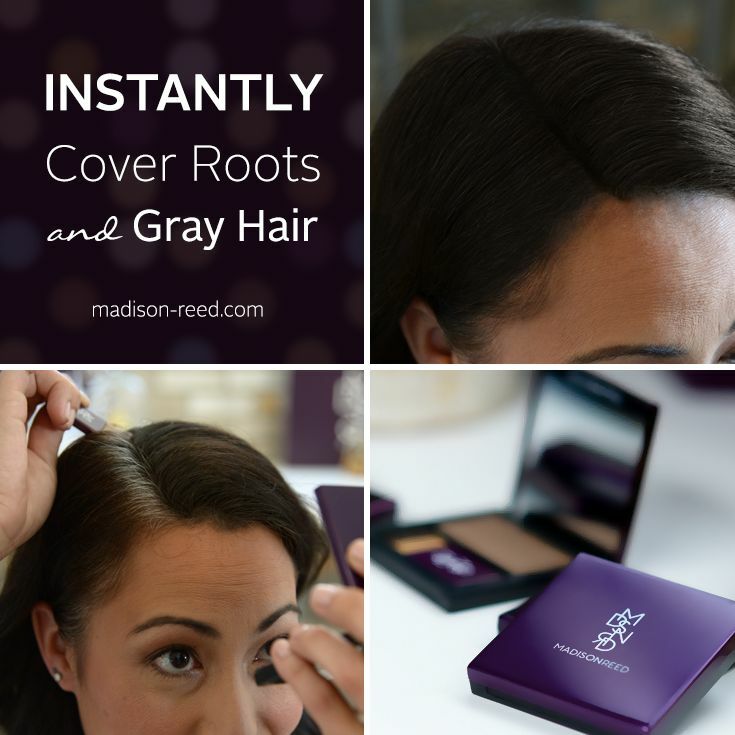 Unlike many other outdated coloring kits, Madison Reed has a line of root touch up products for women to use at home that includes safe ingredients and won’t strip hair of its natural shine. Hair coloring products can often degrade the quality of your hair because they include harmful chemicals that can be unwise to inhale, much less apply to your skin and hair. Madison Reed, however, has been working within EU regulations to ensure that those harmful products are not part of their company line without sacrificing performance. On average, if you are regularly coloring your hair, that means that you are dying approximately every 4-8 weeks. Depending on the growth of your hair you may need to color more often, but less frequently than every eight weeks is rare. Due to how often hair will need to be colored, it is essential to be careful when choosing products and the application process for those products. Madison Reed is often considered to be the best at home hair color available because the company offers options for touching up only the roots of your hair which saves money and time. On the Madison Reed website, you can view their color options. There is a short questionnaire to help you find your perfect shade, and you can also familiarize yourself with the ingredients, and supporting products that make your hair color last longer than traditional salon treatments. 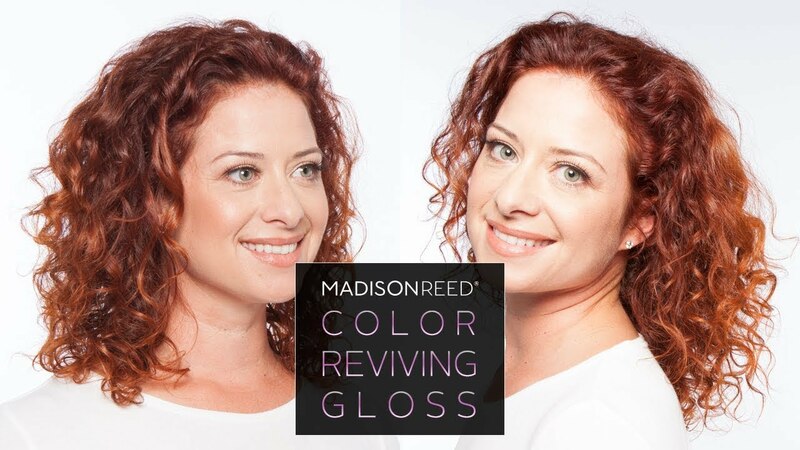 In addition to the hair dye available in a variety of shades, Madison Reed offers a color reviving gloss that prevents your hair from looking washed out after repeat stylings and showers. There is also protective shampoo and conditioner that ensures the hair dye stays in the strands of your hair and doesn’t wash out with each shampoo. Madison Reed also offers some styling products specifically designed to be gentle on your dyed hair, without using harsh chemicals. Taming flyways and extra moisturizing and smoothing creams are all available for much lower prices than traditional salon products. 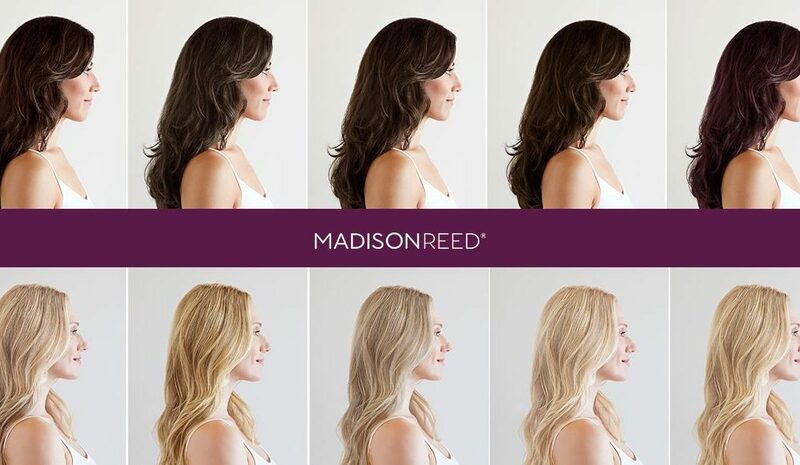 Madison Reed Root Touch Up kits are a powder that can be applied to hair when it starts to grow out and there is a noticeable color difference between the natural and color treated hair. The powder comes in a compact that closely resembles makeup and is available in eight shades. To apply, use the brush to pick up the colored powder, and gently spread it over the roots until the desired coverage is achieved. For lighter hair, less product may be required than for hair that is darker or has longer undyed roots to cover. This product also contains “ingredients you can feel good about” and that includes pigments that have been micro-milled to give hair more depth and natural looking coverage than other root touches up products. One container provides about 60 uses. The root touch up kit works on all hair types, and all shades of hair, but you’ll need to choose one of eight colors that most closely match your color. The touch-up powder sets as soon as it is applied and will stay put until you shampoo it out. The root touch up powder is sweat-proof, rain-proof, and won’t end up on your pillow while you sleep. Madison Reed has gone to great lengths to remove harmful and irritating ingredients from their products, and their careful work has improved the performance of their hair coloring products. Without these harmful ingredients, individuals can color their hair with confidence and not worry about dry ends or irritated scalps. Many women who have colored their hair will rejoice when they hear that Madison Reed hair coloring kits contain no ammonia. The foul-smelling chemical has been a traditional part of hair coloring for years and can cause hair weakening, frizz, split ends, and ultimately causes hair color to fade. Ethanolamine is used in place of ammonia and is far more pleasant to use. It doesn’t have a noxious smell like ammonia, and it still provides predictable results when used with permanent hair dyes. Ammonia can also irritate skin, and at the very least lets off unpleasant fumes. Ammonia vapors can irritate the throat, lungs, and eyes which can lead to coughing, burning, watery eyes, and an itchy scalp. Sodium Lauryl Sulfate, or SLS, is known to strip color from hair and deplete your hair of moisture which can quickly cause split ends. In severe cases, it can also cause allergic reactions, and even scalp irritation. The alternative is the similar sounding Sodium Laureth Sulfate which is much gentler, less irritating, and ensures a more even application. Sodium Laureth Sulfate also helps remove excess dye from the scalp and hair while rinsing. Madison Reed coloring kits are focused more than just on coloring your hair. They take into consideration the overall health of your hair and scalp to ensure your coloring experience is both positive and that the result is astounding. Their coloring includes a variety of oils, extracts, and other ingredients designed to improve the overall health of your hair without sacrificing your well-being. Argan oil, mongongo oil, baobab oil, and maracuja oil all work together as emollients, and nourishing substances to moisturize hair and promote healthy hair growth. The Madison Reed products also include honey, keratin, and ginseng root extract which penetrate the hair, give it shine and fortify it to protect against breakage. Keratin can also help restore elasticity to hair which can aid in preventing color from fading prematurely. Madison Reed reviews have mainly been positive online, and many of their products have 4-star ratings or higher on websites such as Ulta and Sephora where products are often purchased. 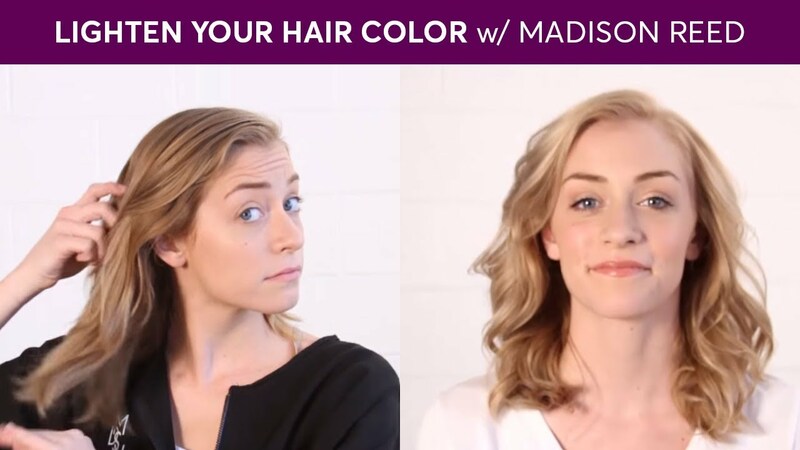 The Madison Reed line of hair coloring products has also gained popularity from vloggers, bloggers, and some celebrities. User feedback consistently mentions how nicely the color kits from Madison Reed are packaged and how pleasant the hair dye smells compared to traditional color that contains ammonia. They also speak highly of the Madison Reed app that is a free download and guides you through every step of the coloring process. Many are extremely happy with their coloring experience and their final look. Users frequently gush over how multidimensional their hair looks, how soft it is, and how natural the color appears in different lighting. Users also remark at how easy the coloring kit is to use, and how cheap it is compared to visiting the salon. They insist the results are comparable, and that they enjoy their experience far more with the Madison Reed products due to the lack of chemical smell.